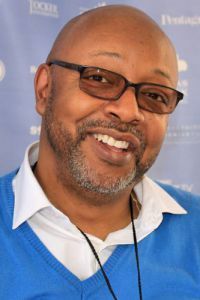 Pulitzer Prize winning columnist Leonard Pitts Jr. addresses “Saving America: Politics at the Crossroads” at Pensacola State College at 7:30 p.m. Wednesday, Aug. 30, at the Jean and Paul Amos Performance Studio, WSRE Building 23, on the Pensacola campus. In a career spanning more than 35 years, Pitts has been a columnist, a college professor, a radio producer, a novelist and a lecturer. His stellar newspaper career began at the Miami Herald critiquing music. Within a few years, he received his own column where he has dealt extensively with race, politics and culture from a progressive perspective. Today, his Miami Herald column is syndicated in more than 250 daily newspapers. Pitts gained national recognition for his widely circulated column of September 12, 2001, “We’ll go forward from this moment,” in which he described the toughness of the American spirit in the face of the September 11 attacks. A finalist for the Pulitzer Prize in 1992, Pitts was a winner in 2004. He also won the top prize for commentary at the Scripps Howard Foundation’s National Journalism Awards in 2002.